I’ve been a fan of Star Trek since I was a child. The Original Series and the Next Generation were TV staples in my house; I devoured every episode, and watched them numerous times. My enjoyment continued into Deep Space 9, but died with Voyager and Enterprise, before being renewed again with the advent of Netflix, which allowed me to re-watch every episode from every series in the correct order (though, I still think Voyager and Enterprise are fairly weak shows). But until last year, I had never read a Star Trek book. So one of my goals this year is to delve deeper into the expanded universe, which spans hundreds of books that range from a direct continuation of the various shows and movies to non-canonical books that should maybe best be left forgotten. I was a little haphazard in my reading, though. I jumped on the audiobooks I could find instead of simply reading them in order. For the most part, this didn’t really make a difference in my enjoyment of the books. These novels are fairly episodic, so there isn’t a great deal of carry over from one to the other. But I no doubt missed out on some character development. 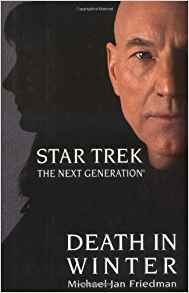 Also, the books starting with Death in Winter are a direct continuation of Star Trek: Nemesis. If I could go back and start again, I would’ve started with this book. 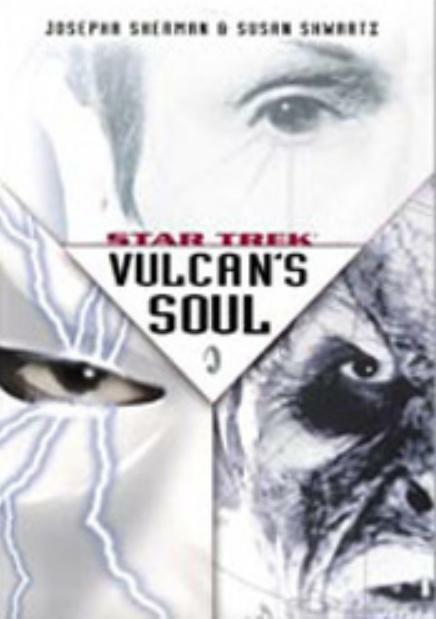 The Face of the Unknown and the Vulcan’s Soul series are about the original series. Set in the year 2269. I’m not much of a fan of The Original Series. The show itself is too cheesy for my tastes, and was even more polemical than later variants. Every episode is so overwrought and heavy-handed. But, it gave birth to this universe, and I enjoyed the show as a child, so it will always have a special place in my heart despite the fact that I can’t watch it now. 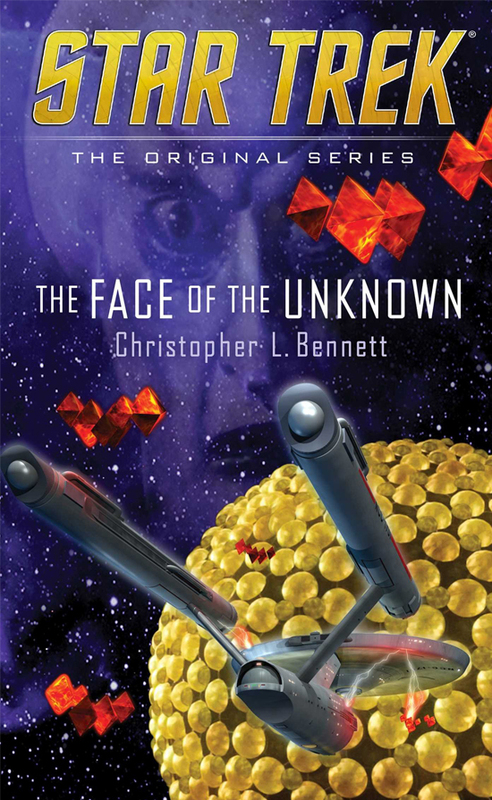 The Face of the Unknown is a sequel to “The Corbomite Maneuver”, and sees the Enterprise investigating a ship attacked by a mysterious but familiar race of beings. This leads Kirk and company to a gas giant, into which they are forced to flee when they are also attacked by this mysterious species. Beneath the clouds, they uncover a vast web of worlds hidden from the broader universe, and a secret buried for twelve millenia. Overall, this is a fairly engaging story with some nice callbacks to the show, but the underlying problem here, I think, is one of the central issues with the entire franchise. Star Trek has a rich and detailed collection of alien cultures to draw from, and they give a lot of depth to the universe. This contrasts well with Star Wars, which has a massive variety of alien beings, but almost no depth to the vast majority of them. They are living set decoration, meant to show that this is science fiction, but they don’t really add depth to the story. But the aliens in Star Trek are so often caricatures, paper-thin veneers that the writers use as commentary on human, typically American, cultures. They don’t really exist on their own, but only work as foils to show how far humanity has come. So they end up representing whatever human characteristics the episode (or novel) want to pick apart. Vulcans are logical. Romulans are deceitful. Klingons are warlike. Bajorans are spiritual. Ferengi are avaricious… It can get fairly tiresome, because Star Trek is ostensibly a celebration of humanity’s diversity, but it so often obscures that diversity by juxtaposing it with a monolithic alien race. Instead of reinforcing the message of togetherness and unity, it instead undermines the theme by pretending that unity can be achieved by conquering one simple difference between cultures. Conflict, therefore, can only exist when one side becomes intractable in its position, which typically leads to Kirk or Spock lecturing everyone. And that is what happens here. The last third of the book is Kirk telling the aliens how they are wrong and need to trust that the Enterprise is there to help them. This was a decent book, but it never really escaped the issues I feel like the original show suffered from. Set in the 3rd century, and 2377. One of the things that I find endlessly fascinating about Star Trek is its richly detailed collection of alien cultures and people. There’s boundless variety and opportunity for storytelling in this universe. On the other side of this coin, however, one of the most frustrating aspects of Star Trek is the tendency to look backwards into the past. First with Enterprise and now with Discovery, the Star Trek universe hasn’t advanced since Star Trek: Nemesis came out sixteen years ago (holy crap I’m old). Vulcan’s Soul exhibits both of these traits. 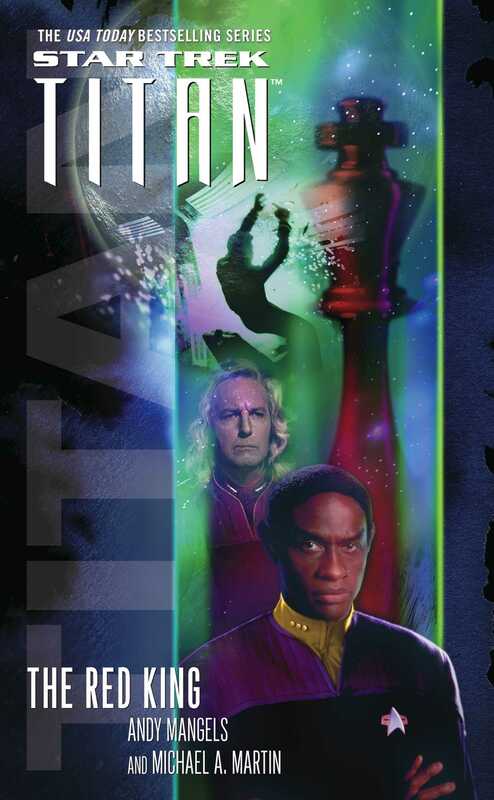 Set one year after the Dominion War (the years 2373-75; four years before Nemesis), the Romulan Empire is attacked by a race called the Watraii, who claim that the Romulans stole their home world. The Federation, Klingons, and Romulans are still locked in a tenuous alliance, but were so ravaged by the Dominion War that none are capable of engaging in any kind of sustained armed conflict. Spock, Uhuru, and Chekhov join together in an attempt to address the threat and uncover the truth. All of that is fine. The problem is that the narrative jumps back and forth between the present and the ancient Vulcan past. Vulcan weren’t always the peaceful, logical beings that they later became. 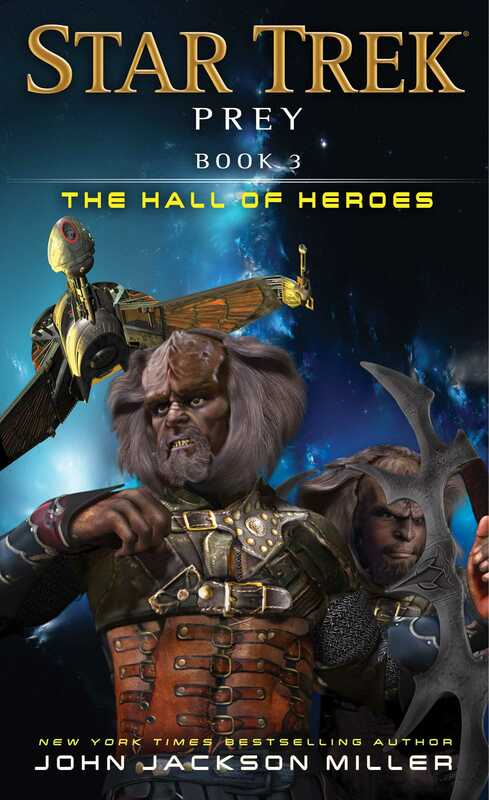 They went through a brutally violent period where they nearly wiped themselves out, until Surak created a path of enlightenment through logic and the controlling of emotion. The title of this trilogy takes its name from this part of the story, and I found it…..so boring. And kind of hard to keep all the characters straight. I mean, it was interesting enough seeing how the Romulans grew out of Vulcan culture (they are two closely related races), but every time the story jumped into the past, I kept wanting to find out more about the Watraii and why they attacked the Romulan Empire. Maybe if these books were strictly about the birth of Romulan culture I would’ve been more interested, but it always felt like an afterthought given equal attention to the main story. While the Vulcans have never been my favorite group (they, like the elves in The Lord of the Rings are too perfect to really interest me), the complex history of Vulcan, Romulus and Remus is fairly interesting. Add in the Watraii, and how they’re all tied together, and there’s a good story here. I just really didn’t like having to jump back into the past. So much of these books didn’t actually advance the central plot, as so many pages were devoted to recounting how the Romulan Empire grew out of Vulcan exiles. These books were originally intended to be one novel, but the story grew large enough for three. I think the main reason for that is the expansion of the Romulan mythos, because the actual story of the Watraii easily constitutes about a third of this series. That the publication of these books coincided with the release of Nemesis may not be a coincidence, either, seeing as that movie also dealt with Romulus. Overall, I don’t think this series is really worth the investment, unless you really want to know how the Romulan Empire was formed. But, if that’s the case, you can probably just read about it on Memory Alpha. This is the first book in the post-Nemesis continuity, and centers around Dr. Crusher’s attempts to cure a plague on a world on the outer fringes of the Romulan Empire. You get some nice insight into Crusher’s inner being, and her relationship with Captain Picard, along with some expansion on the inner workings of the Romulans following the events of Nemesis. It’s a pretty good read, if a bit uneventful. Most of the book is Crusher trying to free herself, or brief scenes detailing Romulan politics, or Picard pining for Crusher. The internality of the novel is more compelling than the plot, and I feel that Friedman does a good job with the characters. I just wish the rest of the novel was as interesting. I liked the book, but I kind of feel like the entire purpose of the book was to set up the last five pages or so, which is a payoff for two character arcs that had been building for some time. 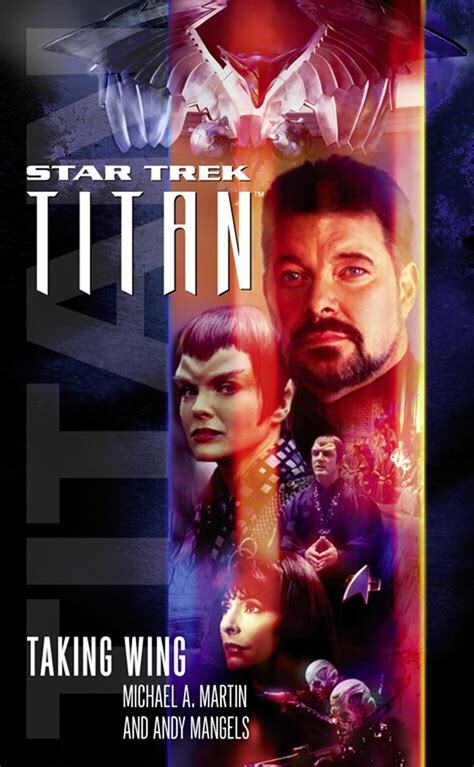 Taking Wing details the first mission of the USS Titan, a Luna-class ship captained by Will Riker, as it attempts to deliver humanitarian aid to Romulus following Shinzon’s assassination of the Romulan senate, power grab, and the devastation wrought during the movie Nemesis. There is much to like, here. For starters, a new ship and crew is a welcome change. More than that, though, this crew is the most diverse in Starfleet (or all of Star Trek, for that matter). Most ships we encounter in the books and shows are comprised of humans and a few aliens. Titan is almost entirely made up of non-humans, with many being the only representatives of their race in Starfleet. The crew quarters have to be retrofitted to accommodate their needs. So the struggle to build a cohesive team is a central part of this book. That’s a welcome break from the idyllic future so often presented by Star Trek. People don’t always get along, and everyone doesn’t always understand everyone else. This ship also has the first homosexual crew member that I’m aware of, and his sexuality is actually dealt with. He isn’t a token “gay character” here. But the center of this book is Captain Riker, and his learning to be his own man now that he’s finally stepped from the shadow of Picard. His character is, I think, developed here in a way we haven’t seen before. He’s shown to be vulnerable and out of his element to some degree. Plus, the Titan has seat belts. At the end of Taking Wing, the Titan (along with some Klingon allies and a Romulan fleet) had slipped into a spatial rift left in Romulan space following the events of Nemesis. In The Red King, Titan deals with the consequences of that. The immediate consequence is that they are outside of the Milky Way galaxy (further even than Voyager had been). But they meet a race called the Neyel, who are actually humans blown out to the Magellanic Clouds. They were, apparently, introduced in a previous Star Trek novel that I haven’t read – so I spent much of the book wondering who the hell these people were. I don’t feel as though their backstory was adequately explained here. The efforts of the Titan and the Romulan crews to return to their homes created a proto-universe that threatened to take over the small Magellanic cloud, threatening the lives of the Neyel. It is only with the help of the Romulans and Titan crews that the proto-universe’s growth can be halted. The basic premise of this novel is interesting, but the execution leaves much to be desired. So much of this novel is just…..characters sitting around talking. The shows were always prone to creating a crazy problem and fixing it with techno-babble. That could be a little insufferable, at its worse, but it was never more than a relatively small part of the show. This book seemed to be mostly techno-babble. Maybe it’s because I don’t actually care about any of the news characters yet. Maybe it’s because I don’t know who they Neyel are, apart from what I read on Memory Beta,. Maybe this just wasn’t a very good book. So far, this is the least interesting book I’ve read in the Star Trek universe. This series commemorates the 50th anniversary of Star Trek, and is proportionately large in scope. Continuity-wise, it takes place after Star Trek: Nemesis (the year 2386), but significant portions take place after Star Trek III: The Search for Spock. In fact, it’s almost necessary that the latter movie be watched to understand the motivations for many of the characters here. Most of these books work relatively well without being fully versed in the various films and television series’, but I think significant parts of these books won’t be as impactful to people going into them without that prior knowledge. 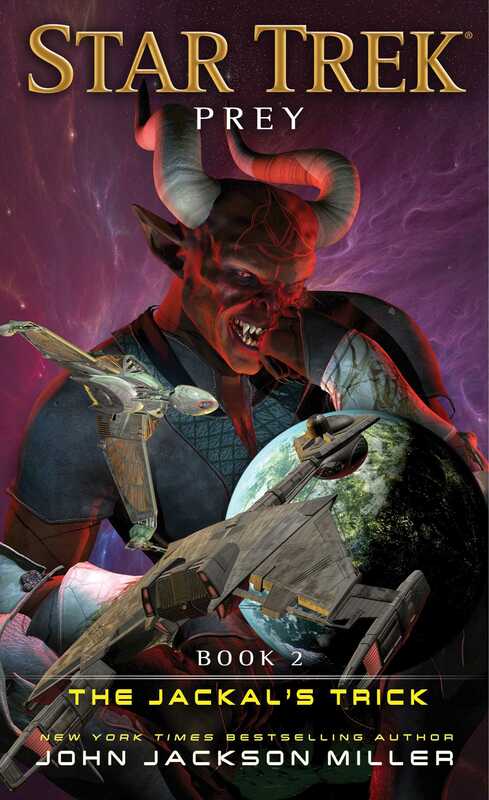 Also relevant is the Star Trek: The Next Generation episode Devil’s Due (season 4, episode 13), wherein the Enterprise rescues the planet Ventax II from a woman posing as that culture’s version of the devil. The main body of these books take place 19 years after the events of Devil’s Due. 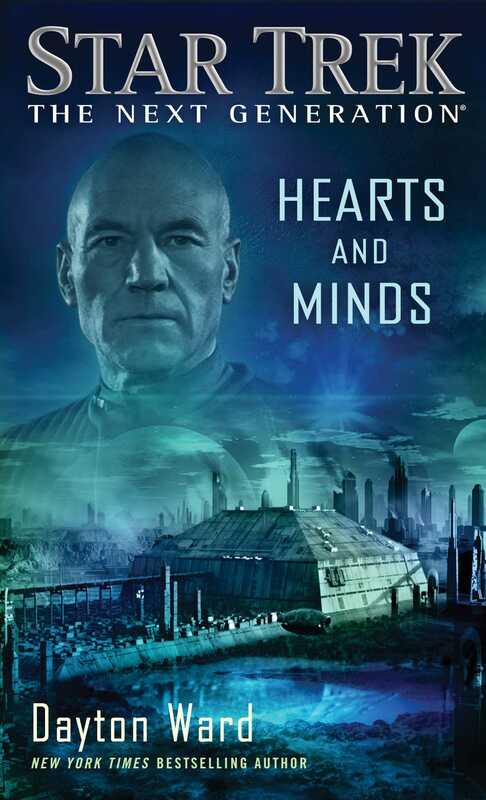 Hell’s Heart, sets the stage for the series by recounting the aftermath of Star Trek III, which saw Kirk and the Enterprise squaring off against the Klingon Kruge over the Genesis Device, which allowed them to bring back (spoilers) Spock following his death in The Wrath of Kahn (end spoilers). Kruge’s would-be heir, Korgh, seeks revenge against the Federation (specifically, the Enterprise), and spends the following century waiting for his chance to take over the Klingon Empire and fulfill Kruge’s long abandoned goals. The backstory is handled adeptly, and I never felt lost, nor did the story ever feel rushed. We get plenty of time with the various Klingon actors (included the clone of Kahless, introduced in TNG episode Rightful Heir, season 6, episode 23), and TNG characters Worf, Riker, and Picard. The Jackal’s Trick spends more time on the tragic pawns in this series: the Unsung, Klingons punished by the empire with discommendation and exile for seven generations. Worf faced a similar stain in The Next Generation before having his honor restored. I’ve always liked the Klingons, and enjoyed the exploration of what it meant to be a Klingon completely severed from all that they value. The Hall of Heroes is a fitting finale to the series. My only qualm with this whole series is that it’ll never get made into a movie or multi-part episode. Set in 2031 and 2386. The Enterprise comes upon what is thought to be a previously undiscovered world. Faced with the prospect of a first contact situation, the Enterprise tentatively approaches the planet, only to discover that alien race is not only aware of earth, but has already been in contact with humanity. And that contact had a terrible effect. The book deals with the past as a parallel story, and despite my qualms with looking too much towards the past of this universe, I think it’s actually handled well, here, and makes sense for the story. I hate to make these reviews as simple as, this is what happens and I liked/didn’t like it, but after a so many books, it’s kind of pointless to go into too much detail. At the end of the day, there’s only so much that can be said about these books. 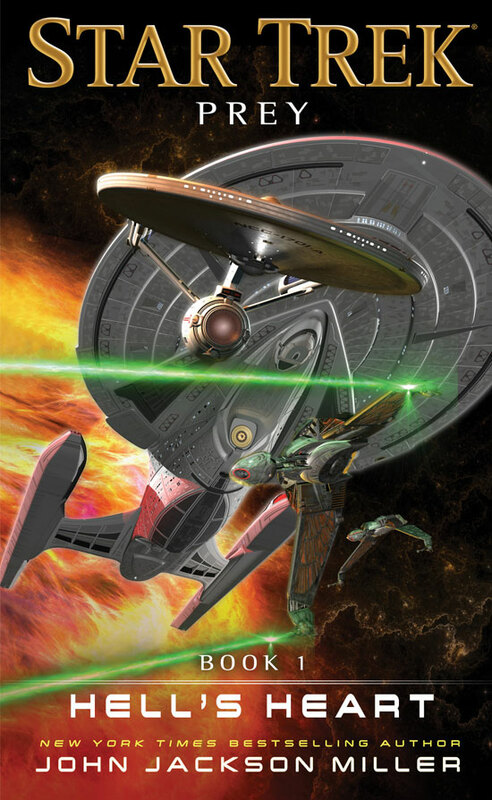 If you like Star Trek, you’ll probably like this book. If not, you probably aren’t even reading at this point in the review. This was actually the first in the Titan series of books that I read, even though it was the most recently published. I tried hard to read these books in order, but some got pushed to the front due to availability. I don’t think it impacted my enjoyment too much, though some spoilers were bound to occur. This is another one of those books (like the Prey series from The Next Generation or The Face of the Unknown from The Original Series that built on a brief mention in a single episode. This time, it’s the alien race known as the Husnock, which was very powerful, technologically advanced, “hideously intelligent” and aggressive. in 2366, they were completely wiped out by an energy being (similar to the Q) known as the Douwd, after his wife was killed in a Husnock attack on Delta Rana IV. This was the third episode of season three of The Next Generation. The Titan crew, along with the Ferangi bounty hunter Brunt (seen in DS9), and various factions from the Alpha Quadrant, are in a race to take control of advanced Husnock technology following the translation of their language by Federation scientists. It was an enjoyable read, but I did feel like more could’ve been done with the Husnock and their technology than was actually attempted here. It’ll be interesting to see if the discoveries made here bear any fruit in subsequent books. TL;DR: My takeaway from these books is that they’re a lot like the TV shows upon which they’re based. And in that way, they’re successful. You know what you’re going to get if you read an Original Series book, and you know what you’re going to get if you read a Next Generation book. The flipside is that there isn’t an overarching narrative that ties everything together. This is like a TV show from the 80s: episodic and self-contained. Which is fine, I guess, but I was hoping they’d be able to do more with the different format. 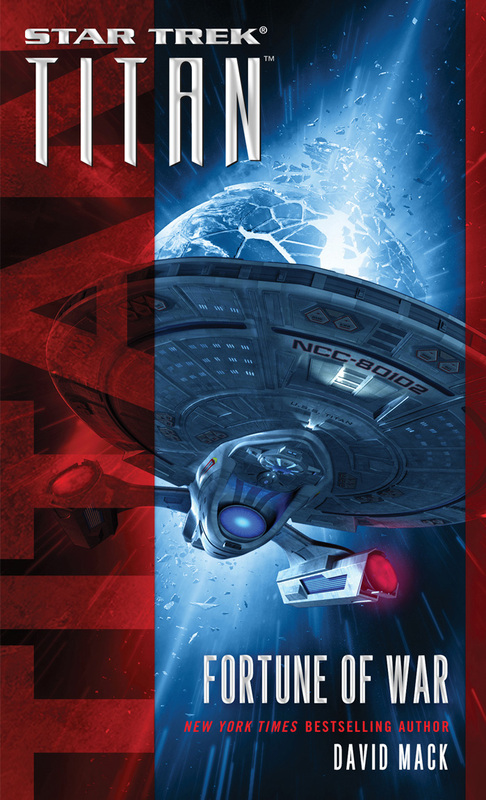 If you’re going to read Star Trek books, I feel like the newer the book, the better it’ll be. I think someone else read their way through Star Trek novels a few Cannonballs ago but I cannot remember who it was. I know they read some doozies with some of the older novels! Vangie13, in CBR6. We have 64 Star Trek reviews up, and she (I think?) wrote 46 of them. Those reviews were part of the reason I jumped into this universe.